There are artists who have fans, and then there are artists who have fans. 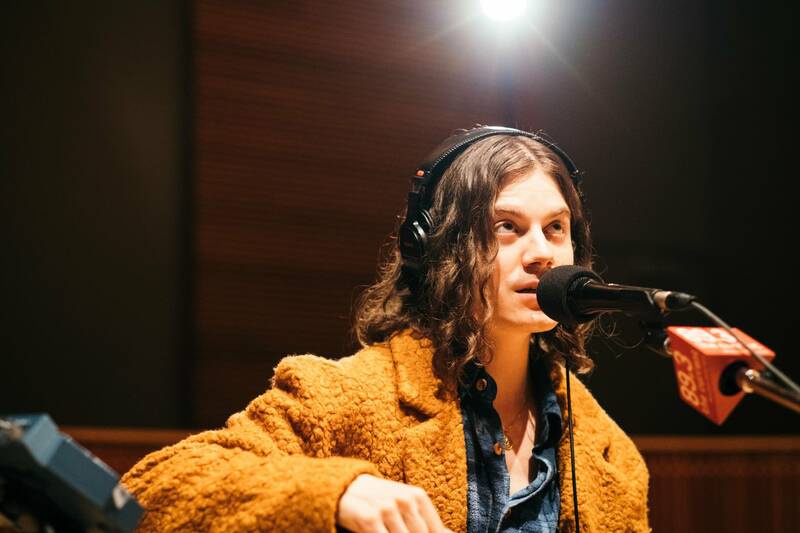 When we learned The Current would have the privilege of hosting BØRNS for a live session, we invited our audience to suggest questions. Ideas came in from around the world, and I started getting mentions and DMs from fans on Twitter. When can we see the video? 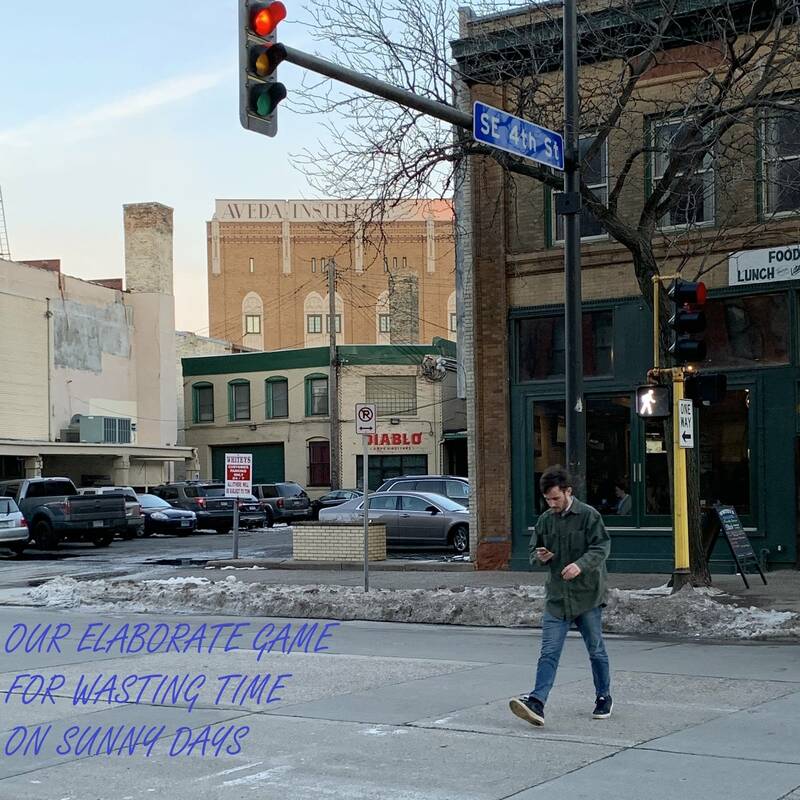 When can we hear the session? 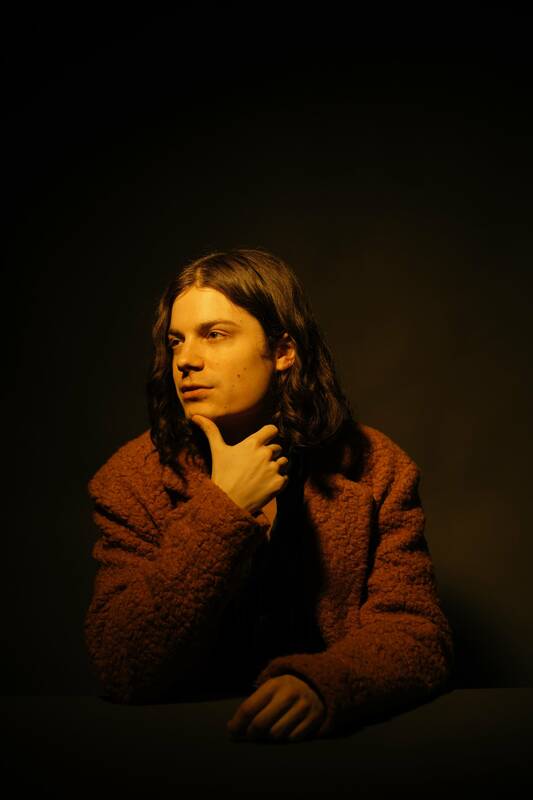 It's no surprise that BØRNS has built an avid following, thousands of whom came out to the Palace Theatre for a rapturous sold-out show last month. 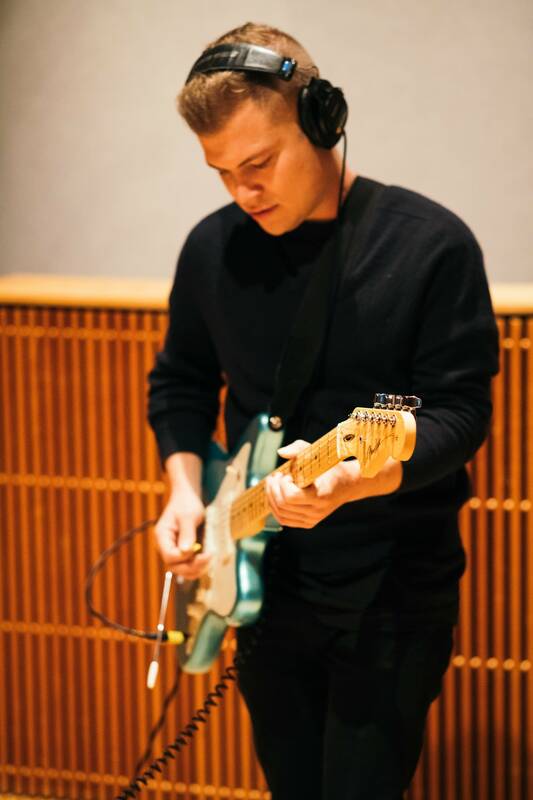 Garrett Borns's 2015 debut album Dopamine made the airwaves (and streaming services) swoon with songs like "Electric Love" and "10,000 Emerald Pools." 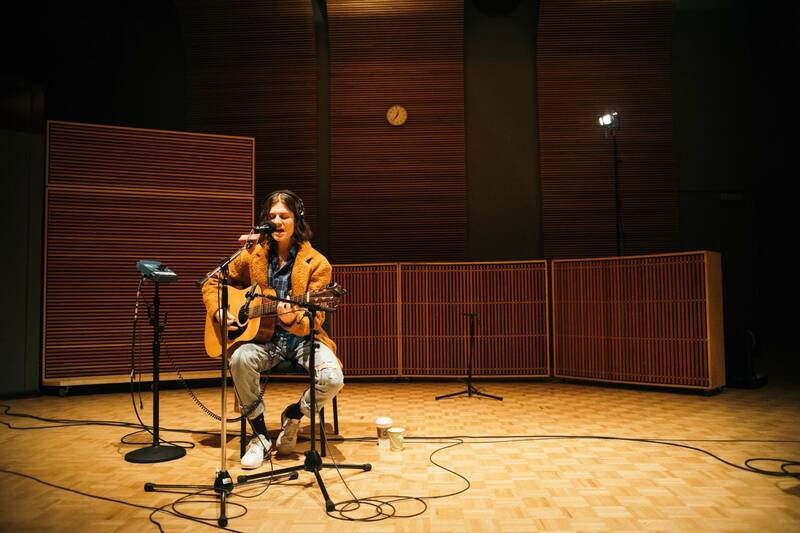 Now, BØRNS is back with a much-anticipated follow-up, Blue Madonna. 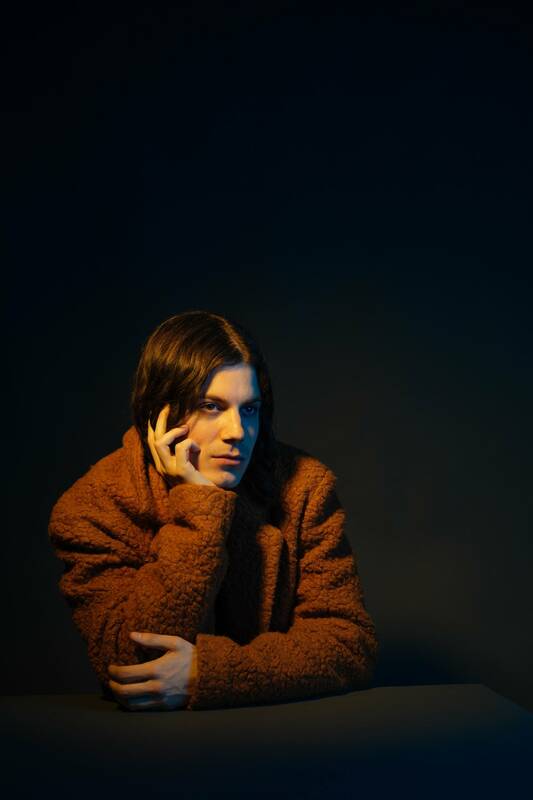 "It takes a lot of rummaging," said BØRNS about the process of crafting a musical and visual aesthetic for each album. When he was crafting Blue Madonna he kept some vintage copies of Galaxy on hand as "subliminal reading material." "They have these supernatural love stories in them," he explained. "So when I was writing 'Faded Heart,' I literally just read 'galaxy' off the front. 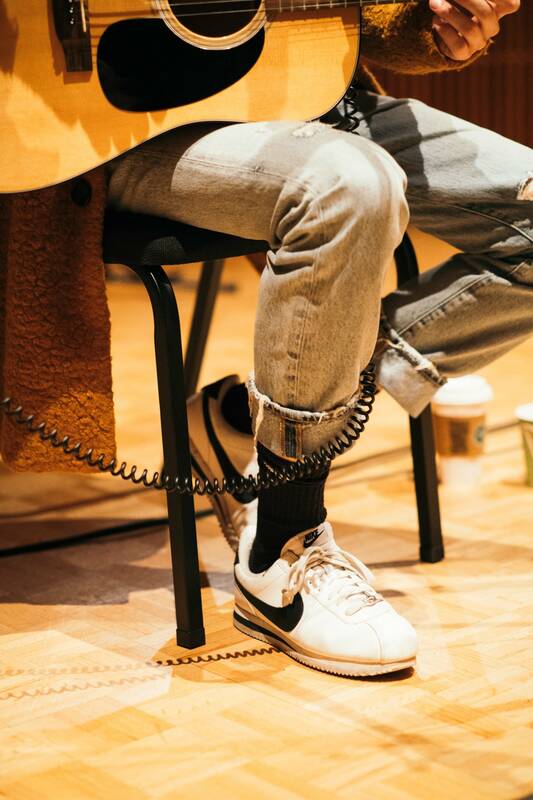 It's nice to have your co-writers existing around you, in various forms." 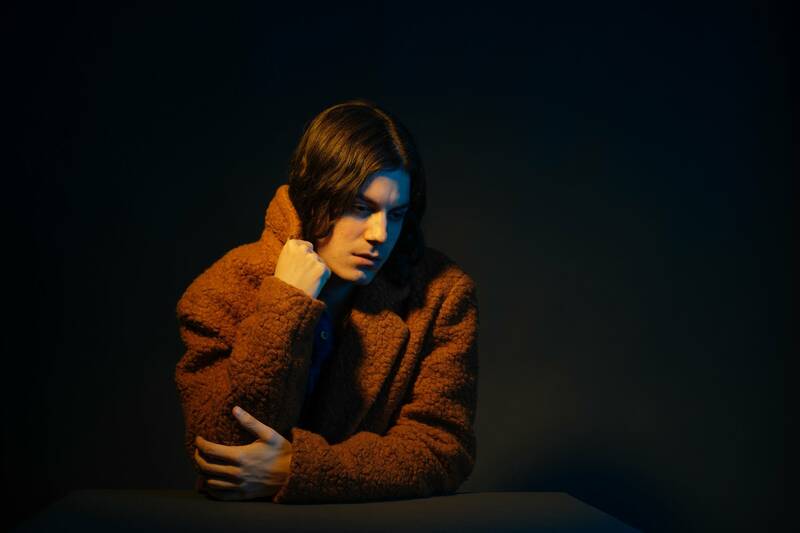 The new album, BØRNS elaborated, has a wider scope than Dopamine. 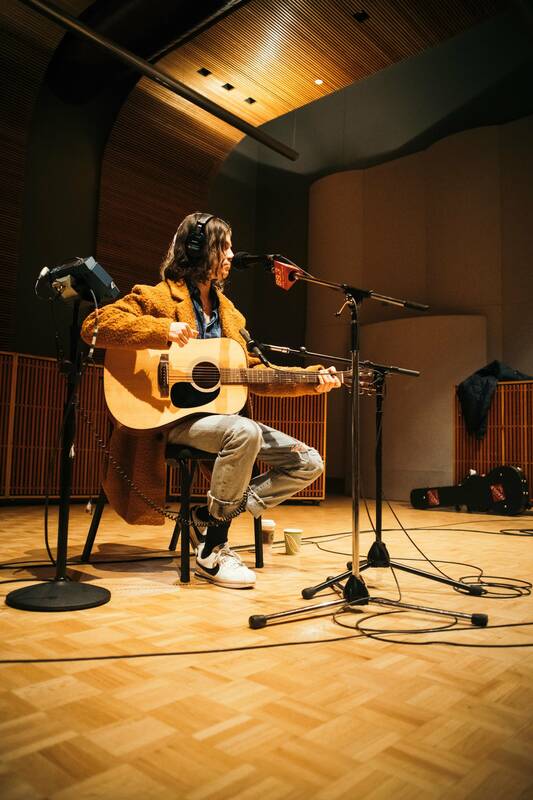 "It's about the experience of living on the road, and realizing that the world is much bigger — and also much smaller — than we think." 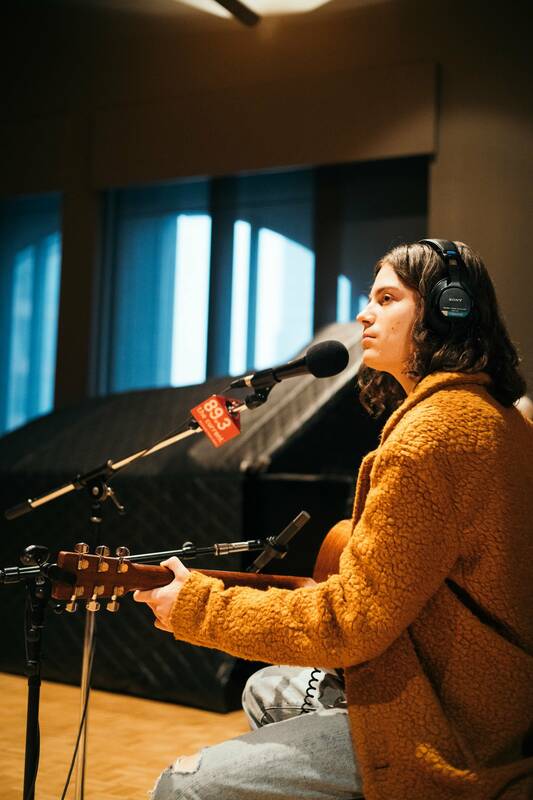 Accompanied by pianist/vocalist Emily Moore and guitarist Connor Doyle, BØRNS chose three songs from Blue Madonna to perform in our studio. 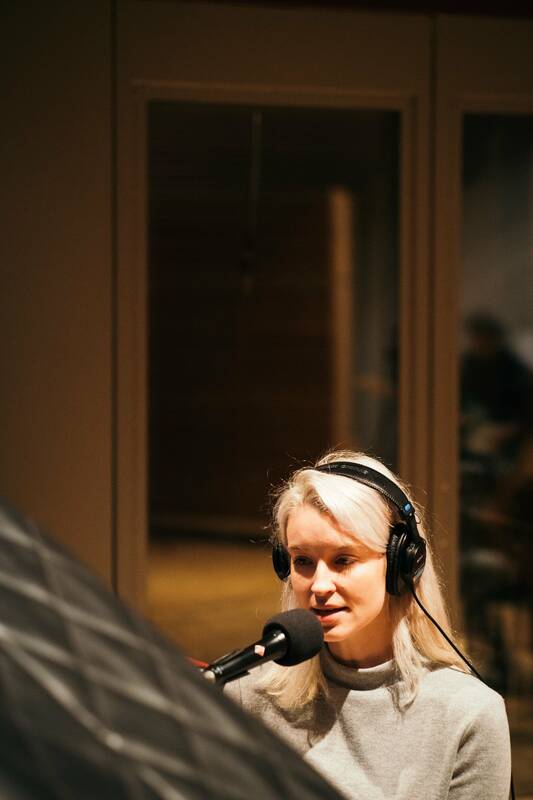 I also wanted to talk about a fourth song, album opener "God Save Our Young Blood." That's a duet with Lana Del Rey, who BØRNS said he met through her sister Chuck Grant. 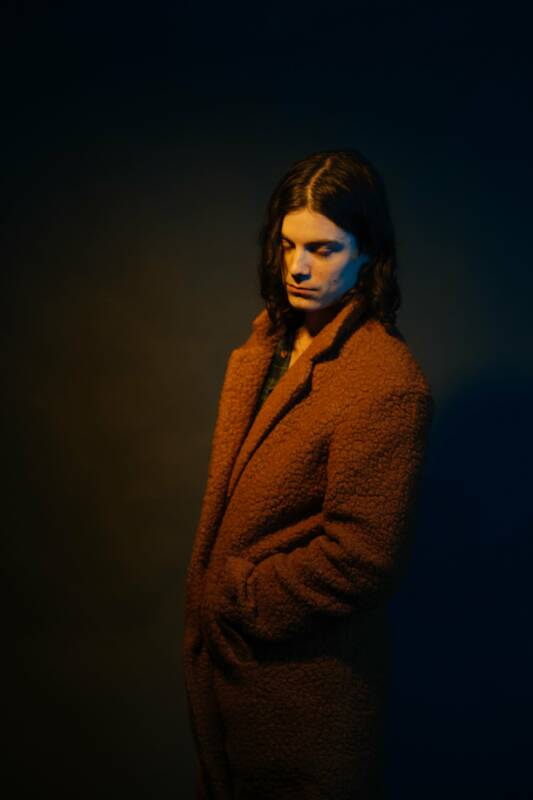 "She shot the entire album, all the packaging," said BØRNS about Grant. "We did a shoot together and just hit it off. 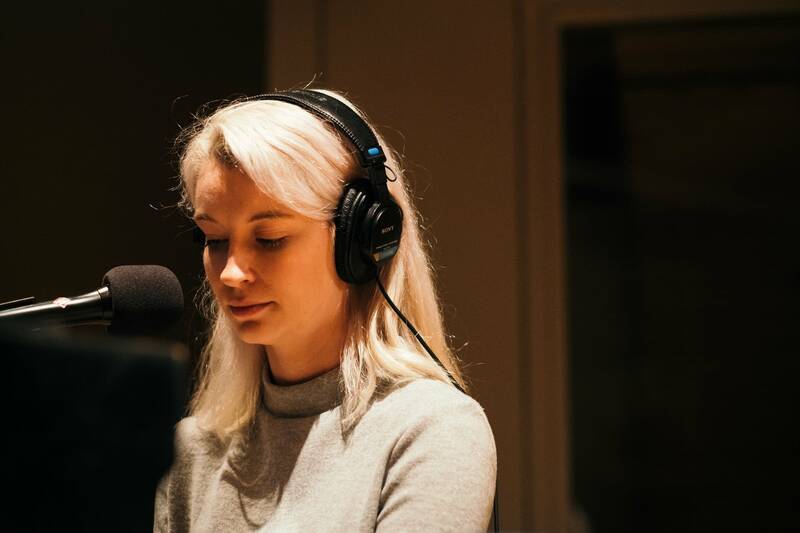 Through her Lana heard some of the new songs, and really liked that track in particular." 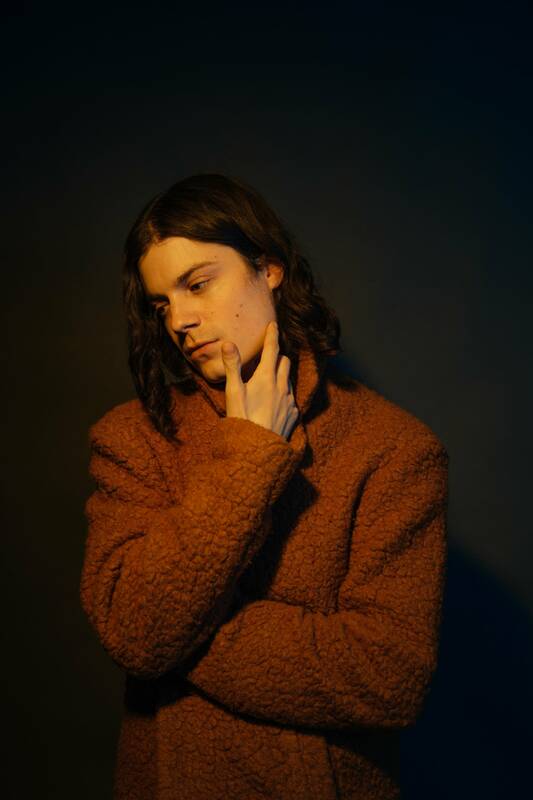 Of course, I had to ask BØRNS about getting a personal shout-out from Prince — who named the Michigan-born singer-songwriter as an artist he enjoyed listening to. "That's a wild one," said BØRNS. "That's one for the books for me. Especially 'cause the man himself said he didn't know what it was inspired by. I'm like, 'All right! That works for me! I'll take that.'" 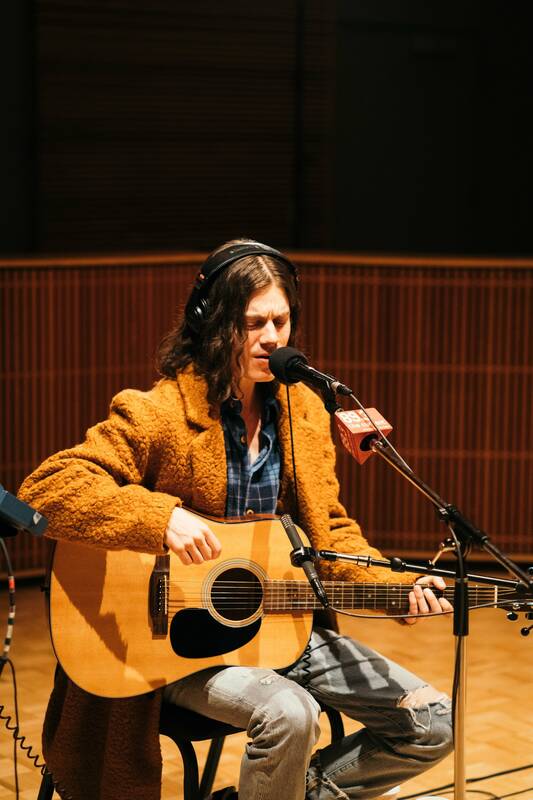 BORNS performs live in The Current studio Ahead of a sold out gig at the Triple Rock Social Club with MisterWives and Handsome Ghost, B&Oslash;RNS stopped by The Current studio to chat with host Mary Lucia and to perform tracks off his debut EP <em>Candy</em>, plus a special Lesley Gore cover.